By now, my kids are now so busy with school activities, after being absent for two days for a very long weekend vacation at General Santos City. And yes, part of their hearts were left at GenSan...and so does mine! Being the tuna capital of the country, where the largest tuna canning companies are residing, its not hard to appreciate the humble fish. You see my kids have acquired a special inkling for maguro sashimi, so that's what they really looked after when we were just planning the trip. With the vast supply of tuna, the locals were able to invent dishes and delicacies where it is the major ingredient. Nothing is thrown away, the panga or jaw is grilled which I found to be very tasty specially when grilled right. Even the tuna skin has found its way to the market being a well-loved junkie, Tuna Chicharon, but I don't want to consider it as a junk, since it has much less cholesterol and rather enjoyably crunchy and satisfying specially when you're on your way to the beach. Known by its stinky characteristics, the King of Fruits have captured my distinctive taste for exotics. When we reached the home of my husband's relatives where we stayed, we were immediately offered a bowl of a cool, ice-cream like in texture, but with a very pungent and strong odor, fruit. I knew even from a few meters away, that it is the dreaded Durian. Not to embarrass our hosts, I took the courage to try it. I felt the cold texture of the creamy meat of the fruit, as advised, you should take a big spoon serving of it into your mouth, to truly savor it. What magic and joy, I was mesmerized with the play of flavors which lingers in your tongue. It is like an almond-flavored ice cream, with a waft of jack fruit and the sweetness of vanilla on a cream cheese. I will be doing a separate post on the different goodies made and being sold with these. It's ample in SOCSARGEN areas but more known to be a bounty in Davao. 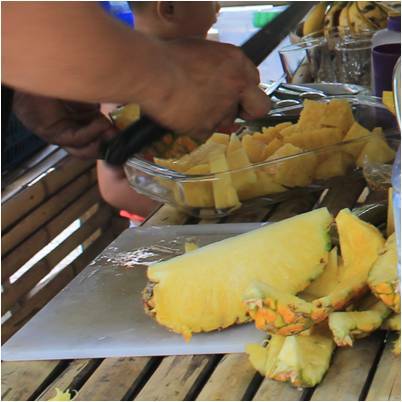 Dole's Pineapples, succulent, refreshingly-sweet without that after-bite that you fell after eating a few. See how yellow it is and how it was easily sliced open with its thin skin. We were able to buy it in a basket, at about 5 kilos or more for only P 200. So "sulit." 3. The Spring waters of Olaer Swimming Resort. Located at Brgy. Apopong, this premier cold spring resort at Gen San is a refreshing refuge form the heat and dust of the downtown. You either bask in the sun or dip into the cool pool of spring waters. "I don't pretend to know what love is for everyone, but I can tell you what it is for me; love is knowing all about someone, and still wanting to be with them more than any other person, love is trusting them enough to tell them everything about yourself, including the things you might be ashamed of, love is feeling comfortable and safe with someone, but still getting weak knees when they walk into a room and smile at you." February 26, our wedding anniversary. As you can see, we decided to spend it with the kids this time, with friends in GenSan and my husband's relatives. It was worth the time-spent with the them, as I've said, "what we had was a priceless experience." Here at Sarangani, during the day, the sky is azure, reflected on the sea and making the color even brighter with white sand and the greenery of the mountain ridges surrounding the bay, no wonder why it is called, the Boracay of Mindanao. This are two exotic dishes out of my bucket list, in one sitting. I will be doing a separate blog for this , which will definitely blow your mind off. 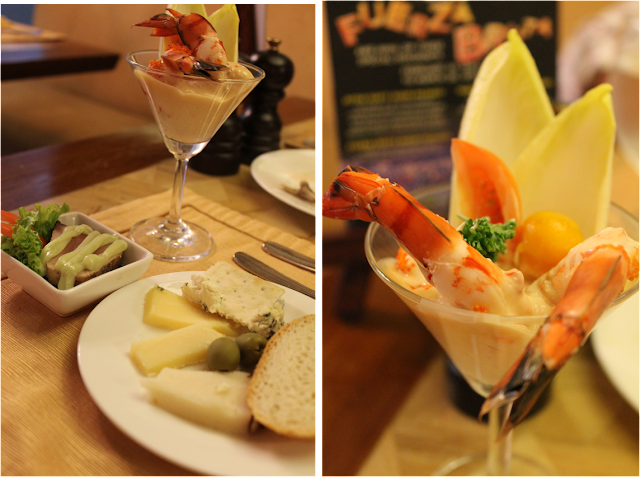 A hidden valley in GenSan's appetite indulgence. This is where locals gather during lunch for their steamy beef soup, known as Balbacua an alternate for Bulalo. A roadside delight to satiate every hungry travelers, factory workers and just about anyone who crave for a comforting dish that is not heavy on the pocket. Another of those unassuming places where you get exquisite cholesterol-laden comfort dish that would only cost you P35.00 a bowl and a small plate of rice for P 5.00. According to Market Manila blogger, it originated from Cebu. Mainly made of hooves, cow skins, and oxtails. But none of those where present in my bowl, thank God, only tender beef shanks, and some glutinous skin fats. Smells like Bulalo, but the taste is different in that, only spring onions are present, a hint of beans can also be tasted and the brownish-red soup thickened with oily liquid from the spices and the fatty meat made it all a good lunch partnered with a bottle of chilled Coke to replace some water lost due to heat of GenSan. But what made the vacation worth all the pennies is the warm welcome we received from our relatives. They made their place our home away from home. Their love and kindness made our stay so much fun and relaxing. They have set aside their work time just to bring us to places far reached by ordinary people, have us experience things we couldn't have imagined doing and even sent us off to the airport, embedding the treasure left at our hearts. Donned in fashionable malongs, which were supposed to be "pasalubong" for friends back in Manila. There are so much more to see and experience at GenSan, that includes a day tour to neighboring Southern Cotabato towns. More restaurants and coffee shops emerging, SM and Robinson's malls and oh, no traffic! So till our next visit, Gen San! Dead-tired, but not done yet with all the house-chores, and oh why am I here blogging my way out of the cumbersome, back-ache-giving chores. It is at this wee hour where I can think out loud, scream my thoughts out and flood this blog with words. It is this kind of a night when the scattered glitters at sky tell you tomorrow is going to be a hot and sunny day and you don't have any excuse not to do your laundry or water the plants in the garden and yeah, take care of your family. The kind of days which reminds you of snow flakes on the window sills, gush of cold winterly wind, sniffles, warm wooly over-all's and Italy. Snuggling back down into a cushion, I paused for a moment and enjoy the buzz of anticipation, as Yahoo mailbox popped open and seeing a number of my Kulinarya mates, posting their blog d=for this month's entry. Then I crack a mid-sized dark chocolate and popped one cube part into my mouth, savoring the velvety, smooth texture of the rich cocoa flavour of Tudor Gold 55% Dark Chocolate. As it melted deliciously in my mouth, I remembered it wasn't this good when I was a kid, then I said "Why not?" When I was nine years old, right after our afternoon siesta (rest), though I usually pretended to be asleep so I could watch TV afterwards or go out and play on the street, we would watch Batibot. It is a daily children's educational and cultural show, and it is were I learned how to make Pastillas De Leche even in my childhood. But what really ran virtually through my mind was how it was well presented, in those days, I guess. In olden days, in the towns of Bulacan and Quezon, women would wrap these heavenly sweets in beautifully cut up papers, dangles something like a miniature lantern out of craft or Japanese paper, before it was sold in stores. Those times when craft scissors haven't been invented, primary colored Japanese papers were only available and the local chocolates that satisfied us were Goya cubes and Serg's Milk bars, and boys tease girls for fun. But it was pretty stern at school, boys started to get crushes and boy oh boy, this story would get more cheesy. A pretty smile now shows on my face, remembering how having crushes and making pastillas would wake you up really early. I particularly remember this boy, who happened to be by classmate from Kindergarten up to Grade Six. This thin and brown boy who happened to be always on the top of our class list, graduated with a Valedictorian title and lots of medals and ribbons strung to his graduation toga, while I only have one and oh a very pretty and sweetly-scented sampaguita lace. He was charming, though not that amicable, maybe because he is a son of a teacher who also taught in the same school. Most of my classmates would see him as a geek or nerd, but I don't, I find him sweet though quiet. He has the most neat hand-writing, even though he was left-handed, he sew ever so neatly, even taught me how to, since my mom were not with us , and no one at home taught me. I could still remember a lot from this guy, but of course we grew up, went to different schools and college, now he maybe off to a different country and might have a beautiful family already. And here I am...married to a guy, not that he's less comparable to my then elem classmate, but the irony is they have the same first name, Danilo. Oh yeah, they bought love Pastillas de Leche. So there my ultimate cheesy love-story in a short minute. That then is my inspiration for this month's Kulinarya challenge. 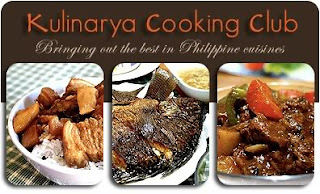 Kulinarya Cooking Club was started by a group of Filipino foodies living in Sydney, who are passionate about the Filipino culture and its colourful cuisine. But I made a few twists on the much coveted Filipino delicacy. The original recipe calls for lemon rind, but I don't have a lemon, so I put a teaspoon of pure lemon extract. Then I rolled it in the chocolate ground bits. Then of course tried as I may, cut some Japanese paper, but this I think, I should have given more time, it's not as lacey and crafty as it was in the Batibot show, but that will do for now, the goodness still lies on what's inside the wrapper, the Dark Chocolate-covered Pastillas De Leche. Combine condensed milk, powdered milk, and lemon rind in a pan. Cook over low heat, stirring until mixture forms into ball. Let cool. Dust large cutting board with confectioner’s sugar. Flatten milk mixture on cutting board with rolling pin until 1/2 inch thick. Roll in slivered or ground chocolate. This part was abit tricky, make sure the pastillas is already cool, and make sure the temp inside the room is also not hot, and chocolates are hard and cold. Wrap each piece in the finely cut up ]Japanese paper or cellophane if you choose. If only there is a job that would pay chocolate coins, I'd write countless words for them. If only I have hectares of land to develop, I'd have cacao trees planted on them. If there is a river of it I'd not stop from swimming in it. If the yellow brick road leads to the Wizard of chocolates, I'd come with Dorothy and would not mind wearing another red ruby splatters. Haahh! If it is just like love...pain would not matter! Last February 14, I didn't recieve any flowers, nor chocolates, nothing, even a word of love to satiate my hunger for it! Good thing, Powerplant Mall opened the Concourse for A Valentines Day edition of Baker's Dozen. Purveyors of sweet indulgence lined up the floor siding with chocolate and candy fairies and befriended bakers making it a one stop gift market for the loved ones. Days after, on a gloomy hour for a late breakfast, I suddenly came to my senses remembering the black-dotted plastic bag, I went home with. I pulled it out from its secret spot inside my special box. Got me a cup, filled it with fresh milk and heated it in the microwave. As the timer ticked away, my pores went open and hairs started to rise , though I could not run to the table, I made it easily. Then grabbed one box of the Cru Kitchen's Choco Spoon, Dark Chocolate. Dunked it in the cup of steamy milk. As I slowly stirred it, carefully so as not to spill any milk on my new table runner, my tongue go swirling all over my mouth, anticipating the smooth and sensual experience after. Curled in a fetal position, nestled in the corner of the kitchen, I sipped a few, furiously checking Blogger. My descent into madness is so steep as to be in free-fall. Then nothing matters anymore, only the the luxurious sensation and comfort a good hot chocolate it gives...with its smooth, chocolate streaks and nibblets afloat, the mini-marshmallow slowly melting, fairly sweetened with a slight bittery kick at the end. Thank God for late breakfasts such as this. I bought this at The CRU KITCHEN stall at Powerplant Mall, Rockwell. You can go there every weekend. They will be there till the last weekend of Feb. Check them out and be sure to find more delectable classic desserts and snacks.